This isn’t meant as a knock against these courses; rather, I bring it up to highlight how different Customer Experience Design with Markus Giesler was structured compared to other courses. For one, participation included both in-class and online participation where the latter encouraged students to post on Twitter using the #CX18 hashtag. The individual report was replaced with a 600-page blog column which can be viewed here. The group assignment included a poster and a 90-second video on a topic of our choice. Our group chose to focus on Four Seasons for our poster which was later expanded to include the broader luxury hospitality industry for our video. The poster was fairly straightforward to put together. Canva has a very intuitive and user-friendly interface that makes putting together most graphical designs a breeze. The video, on the other hand, was completely new to me. The extent of my video editing experience - if you can call it that - was using Windows Movie Maker, but even then it was limited to creating a slideshow set to some music. No one in our group of 7 had prior video editing experience either, so I took it upon myself to learn and produce our final video which can be viewed below. How to source copyright-free material from the web. I used Pexels for the majority of the images and videos. The background music was obtained from Bensound. I was quite pleased with how the video turned out and a huge thank you goes out to my fellow team members Pranav, Stella, Ashima, Heena, Kseniia, and especially to Jennifer for doing the voice-over. The course presented me with an opportunity to learn something new and I’m glad I took advantage, especially considering we could have simply outsourced the editing process using a freelance website like Fiverr. If nothing else, it’s helped me gain confidence in my ability to learn a skill from scratch and use that to create a final product. By no means have I mastered video editing but regardless, the video met and exceeded the requirements of the project for which I’m extremely proud. But I didn’t stop there. On another course, Brand Management, our group used video to create an ad as part of our group project. Our final assignment was conceiving of a product and articulating its brand plan. Our group worked on a low-calorie ice cream, named Delite. The ad was compiled to highlight the Promotion part of our brand’s 5P plan (MBA-speak for Price, Product, Promotion, Place and People). The video draws inspiration from a scene in Forrest Gump and is an (almost) shot-for-shot remake of the original. The lip-syncing wasn’t perfect but considering we put this together hours before our final presentation, I thought it turned out quite well - and so did the class which broke out in laughter. Many thanks go out to my wonderful teammates - Felix and Niil for starring in the video, Pas for helping me shoot, and Cindy and Sara for their support. I’m extremely fortunate to have been given the opportunities to explore my creative side this past semester. I’m confident this will be a valuable and attractive skill set for all you employers out there! How Can Airports Improve the Air Travel Experience? The following post was written as part of an assignment for my Customer Experience Design course during the Schulich MBA program. We were challenged to write a 600-page personal insight column by mixing in our course learnings to a topic of our choice. It’s the journey that matters and not the destination, so goes the oft-quoted saying. Apply this to air travel, however, and many will tell you it’s most definitely about the destination. It’s easy to see why given that air travel is inherently stressful. Questions abound on every facet of the journey; How early should I get to the airport? How much traffic should I expect along the way? Do I have all the required documentation? Will I make my flight on time? In the face of ever-increasing challenges, how can airports address concerns around capacity, competition and declines in non-aeronautical revenues? The answer lies in improving the passenger experience. By designing the passenger experience across all touchpoints of a passenger’s journey, airports can ensure they are more efficient, more profitable and most importantly, more empathetic to passenger needs. The first step in improving the passenger experience is in creating a customer journey map that identifies all passenger touchpoints. This end-to-end map would look as shown below for departing passengers. For arriving or connecting passengers, the map can be altered accordingly. Following this step, airports can apply the framework shown below to further analyze each touchpoint. The idea is to drill down and really understand a passenger’s questions, actions, emotions, motivations and pain points as they interact with every facet of the airport. This will generate valuable insights that can be incorporated towards bettering the passenger experience. Actions: What are passengers doing at each touchpoint? Motivations: How are passengers feeling? What emotions do they exhibit? Questions: What questions might passengers have? Barriers: What pain points are prevalent? We can apply this framework to the check-in process and see how there are aspects of the passenger experience that can be improved. One obvious solution here is online and mobile check-in options. Giving passengers the ability to check-in remotely at their leisure alleviates a lot of the pain points. The findings from the above framework can be applied to all facets of the passenger experience. A preliminary look leads us to propose two areas of passenger need where airports can improve the air travel experience – control and convenience. If a major source of air travel stress is the lack of control, giving passengers control will go a long way in improving passenger experience. As with most things, the answer lies in technology. Consider the New Experience in Travel and Technologies (NEXTT) initiative that envisions a future where certain activities, like baggage drop, take place outside the airport. Passengers can, for example, choose to have their bags collected at their homes and delivered to their final destination without ever having to handle their bags at any point in their journey. The introduction of more convenient options will alleviate passenger concerns around time deadlines. One example is allowing ride sharing options like Uber and Lyft. Another is the role that biometrics can play with the idea of single token travel. Passengers’ biometric data can be captured through a facial scan that can then be used at every step of the journey, whether during check-in, passport control or aircraft boarding. This allows for a seamless, convenient and hassle-free passenger experience where biometric data replaces traditional documentation. Air travel doesn’t have to just be a means to an end. 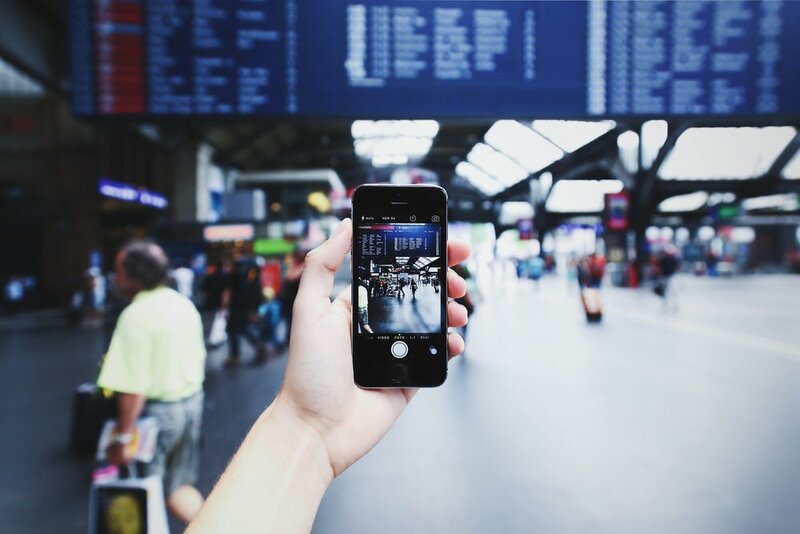 By mapping a passenger’s journey and identifying the various touchpoints, airports can really understand passenger pain points and deploy measures to improve the experience. The future of air travel is exciting; I, for one, cannot wait to have the journey be as meaningful as the destination. The International MBA program at Schulich requires its students to undertake an internship in a country where they haven't previously lived or worked. This past summer I completed my internship in beautiful Greece and fulfilled the program's requirement. More importantly, the experience met all my requirements - experience in an international setting, experience at a startup and experience in the travel industry. The internship was with Exclusivi, a travel-based startup founded by Babis Kourtzis and based in Athens, Greece. Exclusivi is a platform that allows hotels the ability to better engage with guests through intuitive front-end interfaces like TV & mobile apps, real-time PMS & CRM integration, guest analytics and marketing automation. These allow the hotel to enhance every aspect of a guest's stay resulting in increased overall satisfaction by driving revenue, reviews and repeat purchases. The application leverages our everyday thirst for connectivity by providing guests a unique code to log onto the hotel's WiFi network. The code is then fed to the app where guests can perform actions like making restaurant reservations, ordering room service, booking a spa appointment and so on. The idea is that reducing guest friction will drive purchases and improve satisfaction. The images below are screen grabs from the application and show how guests can easily and intuitively control different aspects of their stay. The information is laid out with striking visuals complete with descriptions and prices, allowing guests to make informed decisions without ever having to seek assistance from hotel staff. Besides the application, Exclusivi also includes an online dashboard that pulls information from the hotel's Property Management System (PMS), allowing staff easy access to relevant information at a quick glance. The above is from the dashboard for a particular hotel and includes all important information like guest first and last name (hidden in the above to protect privacy), room#, NPS, NPS Time, NPS Shown and comments. Other entries (not shown) include arrival and departure dates, personal code to access WiFi, guest language (the app supports 9 languages), destination management company (DMC), # of adults and children per room and more. The dashboard also includes inputs for TV and WiFi campaigns. TV campaigns work by displaying content on Smart TVs located around the hotel and in guest rooms. WiFi campaigns work by means of a push notification displayed right on guests' phones. These are powerful tools that help the hotel promote special offers; the app has download rate of 35% and a 90% reach with WiFi promos. Other features include the ability for guests relaxing by the pool to order food and beverage right to their umbrella and for server staff to use the application as a point-of-sale system (think TouchBistro). The video below provides a demo of the Exclusivi interface. I spent my internship at Amilia Mare, a 5-star resort part of Aldemar Resorts. Aldemar is one of the leading hotel chains in Greece with a portfolio of 8 deluxe resorts spread across Crete, Rhodes and the west Peloponnese. Amilia Mare is an all-inclusive resort which, together with adjacent Paradise Village, comprises over 600 rooms, 4 thematic restaurants, 4 bars, a main restaurant and lots more, offering guests plenty of options for rest, relaxation and fun. My responsibility included deploying Exclusivi at both Amilia Mare & Paradise Village which involved creating content for the application, among other tasks. Content included restaurant menus, item descriptions, images etc. and was managed through a comprehensive Google Sheets document. Images were stored using Cloudinary as a database. Features to enhance the application's usefulness were also incorporated via a hotel directory created with Adobe Spark and an interactive hotel map created with Google Maps. I also set up Smart TVs in the hotels and was responsible for their daily feeds, a sample of which can be viewed here. The feeds were used to highlight the thematic restaurant of the day, nearby attractions, daily specials and "animation activities". Animation refers to a daily roster of activities like beach volleyball, table tennis, yoga, zumba and other activities designed to engage and entertain guests. Mention Greece and images of picturesque beaches, islands and turquoise waters are sure to flash through one's mind. Mention Greece and internship and people can't help but bring up its economic state. "Isn't Greece broke? ", "What's there to do in Greece, anyway? I thought the economy was a mess." Indeed, Greece is only now slowly recovering from the crisis that crippled its economy; 20% of the workforce is still unemployed, two-fifths of young people are unemployed, 300,000 people have emigrated - the list goes on. An observation on the consequence of the economic crisis hit home when I noted that most retail outlets are required to put up a sign saying "Customer is not obligated to pay if receipt is not provided. ", an attempt by the government to prevent businesses from keeping transactions off the books and avoid taxes, echoing the sentiments in this article from the Wall Street Journal on high taxation in Greece. But necessity breeds innovation, an example of which is Exclusivi where the founder saw an opportunity and capitalized on it. For context, this is a Princeton-educated, Fullbright Scholar and former Marketing Manager for Procter & Gamble who could have simply packed up and left. Greece is, after all, part of the EU that allows the free movement of people. But speaking to people on why they choose to stick around, the answer almost always was that they wanted to stay in their country, among their people and contribute. That leaving would not solve the issue. There is a resilience to the people that is admirable. Culture and cultural differences are (obviously) a huge topic in an international program and a tool we're often taught is the Hofstede model. The model scores countries on 6 dimensions of Power Distance, Individualism, Masculinity, Uncertainty Avoidance, Long Term Orientation and Indulgence. Rather than looking up Canada vs. Greece beforehand and having some preset notion on expected cultural difference (as I've become accustomed to in the program), I decided to experience the culture for myself and return to the model to compare any observed differences. The below shows how the two countries compare. Dimensions with significant differences include Power Distance (21 points), Individualism (45 points) and Uncertainty Avoidance (52 points). Power Distance - This is defined as "the extent to which the less powerful members of institutions and organisations within a country expect and accept that power is distributed unequally." In this context Canada is defined as egalitarian, a society with the lack of overt status or class distinctions. Greece, on the other hand, is a society that believes hierarchy should be respected and inequalities among people are acceptable. How true! In Canada I don't hesitate to address people by their first name, regardless of their position. In Greece, however, I found myself addressing higher-ups with a Mr. or Ms. <insert last name>. What's more, the hotel employees' emails reflect their position and not their name. For instance, if you held the position of IT Assistant your email would be something like itasst@company.com; something I haven't come across before! Individualism - This is "the degree of interdependence a society maintains among its members, a measure of whether people's self-image is defined in terms of I or We." Canada scores high, indicating a loosely-knit society where people look after themselves and their immediate families and where employees are expected to be self-reliant and display initiative. Greece is a collectivist culture where people are integrated into the strong, cohesive group represented by the extended family. My observations confirm this. A lot of people I met still live with their families (and I'm talking grandparents, uncles, cousins etc.) Not only that, some workers also financially support more than just their immediate families. A subtle observation of the collectivism in Greece was at the hotel's staff restaurant where I noticed that people don't simply grab a plate of dessert for themselves. Rather, they make sure to grab an entire plate of dessert to share with those seated at their tables. Uncertainty Avoidance - This is the "extent to which the members of a culture feel threatened by ambiguous or unknown situations and have created beliefs and institutions that try to avoid these." Canada is uncertainty accepting with easy acceptance of new ideas, innovative products and a willingness to try something new or different and a culture that is not rules-oriented. Canadians are also tolerant of ideas or opinions from anyone and allow the freedom of expression. Greece, by contrast, scores a perfect 100 indicating that society is not at all comfortable in ambiguous situations where bureaucracy, laws and rules are very important to make the world a safer place to live in. While Canada and Greece differ the most on this dimension, I didn't necessarily observe any of these supposed differences. There were instances where I had to seek approval from the higher-ups before displaying content on any guest-facing media, and some hotels were more particular than others, but none of these struck me as particularly out of what I'm used to in Canada. I suppose there was that one time I had to borrow a pair of scissors from a hotel employee who only lent it to me after assurance (and reassurance) that I'd return them, but I'd debate how much you could chalk that up to culture versus the individual. MBA models aside, Greeks are incredibly warm and hospitable and I never once felt unwelcome. My other (general) observations were that Greek people are BIG on greetings with frequent expressions of kali mera (good morning), kali spera (good evening), yassas/yassou (hello). They even have greetings to wish people a good month (kalo mina) and a good week (kali evdomada). I also found Greek people to be incredibly hard-working with regular 10-12 hour days (including weekends) and few, if any, days off. One of my favourite pastimes at school is playing charades (seriously, I am always down for a game of charades). My friends don't seem to share the same passion, but boy did charades come in handy in Greece where I fully employed my skills in trying to get my point across given the language barrier. To be sure, this was ignorance and a failure on my part as I made no effort to learn the language prior to my arrival. The extent of my "research" (if you can call it that) was re-watching this video on YouTube. Here I was, a stranger, not only visiting but working and living in a foreign country for 3 months.. and I couldn't even learn a few basic phrases, especially given the numerous resources available. I've come to since appreciate that expressing yourself in someone's language, however broken, goes a long way. Perhaps the biggest lesson from my time in Greece is that vacationing somewhere is very, very different from working there. There is something romantic about moving to a foreign land, immersing yourself in its culture and working in a new environment - at least to me. While Greece is every bit as beautiful as described, the reality of working there (or anywhere, I would figure) is quite different. The novelty of being someplace new and exciting quickly wears away when you're hit with its everyday realities. If nothing else, Greece has taught me that I was naive to think that starting your life somewhere new was as easy as just showing up. I recently came across a post on LinkedIn that rang true with me that said that "distance and difference really are the secret tonic to creativity." The distance is obvious as I was miles away from everything and everyone I am accustomed to. Differences, too, were aplenty (for instance, floors are numbered differently with the first floor in Canada really being the second floor in Greece.) The creativity, I like to think, resulted in this website that was born out of a need to create something of my own - that and an abundance of spare time. Working at a startup surrounded by folk who are passionate about their work is infectious and has reaffirmed my passion for this industry. I've been able to expand my network, build fond memories and make some incredible friendships. Looking back, my internship did indeed fulfill all my requirements - experience in an international setting, experience at a startup and experience in the travel industry - and I am incredibly grateful to those who made my experience every bit as memorable and worthwhile.